Throughout the year, my [previous] employer participates in a variety of philanthropic events. On Fridays, our staff were allowed to "dress down" and wear jeans if they donated to a pre-selected cause. We also participated in community races to help raise awareness for certain initiatives. Additionally, we provided our referral sources with charity giving cards that could be donated to the philanthropy of their choice. 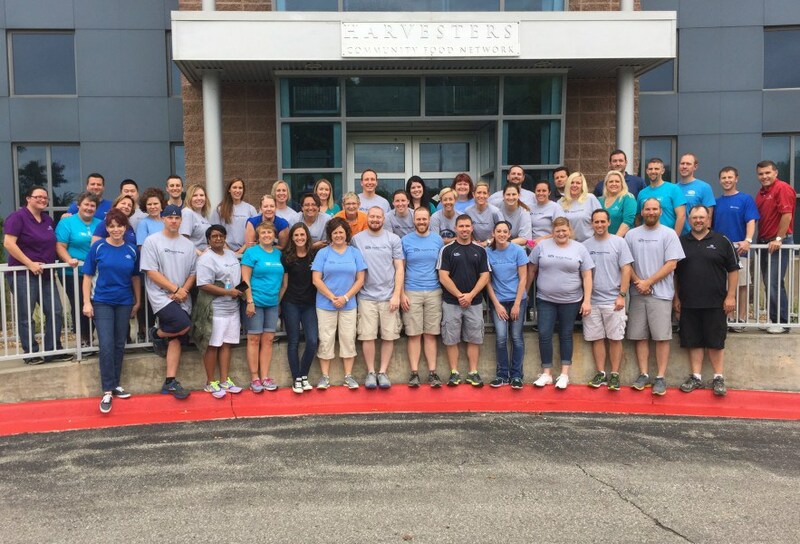 Our company-wide "Give Back Day" was by far our biggest philanthropic event of the year. One day each year, our entire company closed its doors to allow our staff to volunteer at a local charity. The past two years, we volunteered with Phoenix Family, an organization that strives to empower people living in low-income housing communities with the support they need to gain stability and achieve self-sufficiency. This year, we decided to volunteer at Harvesters - The Community Food Network. Their mission is to feed hungry people today and work to end hunger tomorrow by providing food and related household products to more than 620 not-for-profit agencies including emergency food pantries, community kitchens, homeless shelters and children's homes. Additionally, they offer education programs to increase community awareness of hunger and teach people about proper nutrition. As a company that promotes health and wellness, ARC Physical Therapy+ felt it only natural for our staff to volunteer at Harvesters. So, on July 10, our entire company loaded into buses and headed to Harvesters. When we arrived at their Kansas City facility, we were divided into groups to sort food. Some of us assembled canned goods and non-perishable items while others packaged bread to be distributed around the area. We learned that while Harvesters employs more than 90 full-time employees, most of their work comes from the help of volunteers. The experience was extremely rewarding, as it not only allowed us to come together to serve those less fortunate, but it also provided us with an opportunity to interact with coworkers outside our usual business units. Much like in our personal lives, we get comfortable in our work routines and often forget to take time to get to know those outside our immediate circles. Volunteering together at Harvesters provided us with an opportunity to grow both personally and professionally. Volunteering with your coworkers can help build teamwork and time management skills. There is no better way to solidify a relationship than by serving others. Serving side-by-side with your coworkers makes you feel personally involved and connected to one another. Volunteering with those outside your usual business unit allows you to foster new relationships with other members of your workplace. When you feel connected to your coworkers, you are more likely to enjoy going to work each day. Thus, you are naturally more positive, alert and attentive. Studies have shown that volunteering is linked to better physical, mental and emotional health. Specifically, volunteering helps people manage and lower their stress levels. When people are less stressed, they are easier to work with. So, grab a group of coworkers and join our movement. It will make you successful in more ways than one.